The enclosed dust proof bearing and high tear-resistant MPE sanding pad ensure a long service life and maximum economic efficiency. Effective integral turbo dust extractor. An even sanding pattern and the ability to sand close to edges on three sides keeps reworking to a minimum. Small, lightweight and extremely handy for non-tiring work. Ideal for vertical surfaces or overhead work. 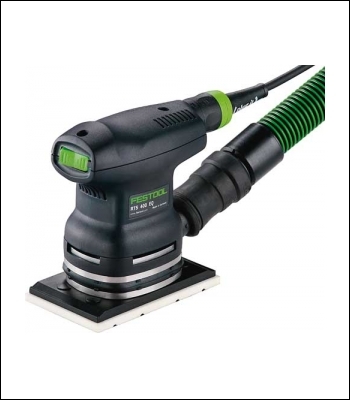 One-handed sander for small and narrow surfaces. Sanding natural wood surfaces and veneering prior to varnishing - particularly furniture.